I would like to take this moment to briefly introduce you to our company. 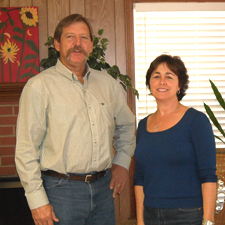 James W. Fontenot Construction Company has been in business since 1990 and offers nationwide services. We specialize in custom fixture installation and millwork, and take great pride in delivering quality workmanship and customer satisfaction. Our work throughout the nation has resulted in successful commendations from a long list of clients. We carry comprehensive general liability and workman’s compensation insurance and we guarantee all aspects of our workmanship. We are a state licensed contractor, LA License #36651. Our certifications include Architectural Woodwork Institute Quality Certification Program and hold a Life Safety and Property Protection license with the Louisiana State Fire Marshal’s Office. We have worked in numerous department stores, restaurants, airports, and hospitals throughout the country. information about our company, please contact our office. © 2018, James W. Fontenot Construction. All Rights Reserved.